Last month, the State Department released a report investigating violence against Rohingya in Rakhine State in western Myanmar. Although the report concluded that the violence was “extreme, large-scale, widespread, and seemingly geared toward both terrorizing the population and driving out the Rohingya residents,” as CNN noted, the report did not contain a finding that the violence rose to the level of genocide. The report also notably was released with little fanfare, despite the fact that administration officials had widely publicized that the State Department was conducting this investigation, and that a United Nations report had already found that senior Myanmar military leaders should face justice for genocide. 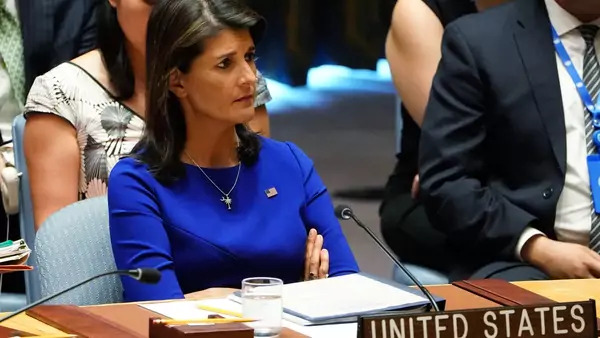 In addition, administration officials, especially UN Ambassador Nikki Haley and her office, had been vocal about Myanmar’s brutal treatment and the need for justice for Myanmar leaders involved in the Rakhine State massacres. The report, as Politico noted, had been anticipated by the rights community and many on Capitol Hill as possibly a pivotal moment in how Washington approaches the Rakhine crisis. If the report had contained a finding of genocide or crimes against humanity, it would have provided the intellectual framework for tougher action, both in Congress and in the executive branch, against senior Myanmar military leaders, including possibly armed forces commander Min Aung Hlaing. Without that finding, the next steps for addressing the Rohingya crisis, from a U.S. policy perspective, remain unclear. The State Department has noted that “the U.S. government has previously characterized the events described in the report as ‘ethnic cleansing,’” according to Politico, and vowed to address the sources and results of the conflict in Rakhine State. Still, the finding seemed a departure from the actual evidence presented in the report. Perhaps the White House does not want to issue a finding of genocide or crimes against humanity because it does not want to empower the International Criminal Court on any issues, including those related to Myanmar. Perhaps the report’s ultimate message, despite the evidence that pointed to genocide and/or crimes against humanity, reflected a realist view of what could actually be accomplished in pressuring Myanmar. Or it might have reflected concerns about triggering a process in which targeted sanctions would be applied to Min Aung Hlaing, and he eventually ran for president in the next Myanmar election and he wound up being the elected leader of a country. The United States then would have sanctions on Myanmar’s leader. Still, advocacy from Congress—and from Ambassador at Large for International Religious Freedom Sam Brownback, who has focused on the Rohingya issue—could possibly prod the White House to take tougher steps. In a hearing last week, Congressman Ed Royce and other leaders of the House Foreign Affairs Committee pressed the White House to reverse course and label the killing in Rakhine State a genocide. Senate Majority Leader Mitch McConnell, a longtime advocate for human rights in Myanmar, and ally of Aung San Suu Kyi, has so far deferred to the Myanmar civilian leader, claiming that she has no power to stop the military’s abuses. Yet he and other old allies of Myanmar’s civilian leader face mountains of evidence—mountains that are still growing—that Suu Kyi now has little interest in rights advocacy at all, and has not taken even most steps to constrain the armed forces—rather, she increasingly seems like their advocate. Besides ignoring or essentially defending the military’s actions in Myanmar, Suu Kyi has overseen a clampdown on press freedom, and appears publicly nonplussed at how her government treats reporters. At a certain point, it becomes impossible to deny that Suu Kyi has not used even the (somewhat) limited powers of her office to advocate for progress on rights and freedoms, and to no longer let old deference to her constrain policy toward Myanmar. On Myanmar, there is more the White House could do. In addition to a formal genocide finding, which would be a bright line echoing the UN finding, the White House could impose targeted sanctions against a wider array of senior military leaders, including the Myanmar commander in chief, who has not been named in the targeted U.S. sanctions that have been imposed so far.